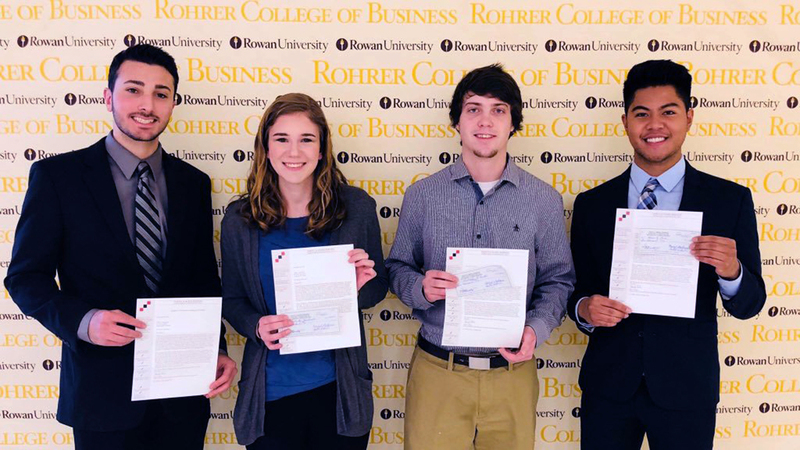 2017 Marketing scholarship recipients from Rowan University. Scholarships are limited to U.S. Citizens who are matriculating in a university accredited by the Association to Advance Collegiate Schools of Business (AACSB). The Foundation will award scholarships to worthy students choosing to pursue a graduate or undergraduate degree in marketing. A Selection Committee of the Foundation will recommend recipients to the Foundation Board based on applications submitted to the Board.